December 18, 2015 - On Friday the U.S. Court of Appeals for the District of Columbia ruled against Flytenow, Inc. in the case of the FAA vs. Flytenow, Inc. (No. 14-1168). After giving oral arguments in their case before the court in September, the court ruled "Flytenow’s petition for review is denied". Flytenow, Inc. was an internet based company that started in 2014, similar to Uber's business model which provided an online business that connected private pilots with cost-sharing passengers. On the company's website it states "Thousands of private pilots fly every day with empty seats in their planes. We connect you with them so you can join in their flying adventures!" After starting their business, Flytenow, Inc. contacted the FAA to request a legal interpretation of their business model to see if they were in legal compliance with FAA regulations. 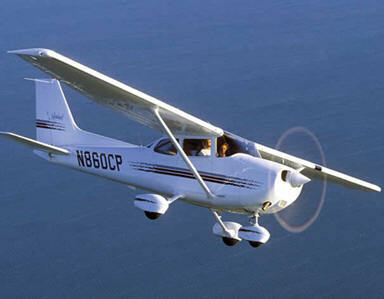 On Flytenow's website under FAQ's - "Can I use Flytenow as a private pilot? - Yes. Flytenow’s service complies with 14 CFR 61.113(a)-(d), which allows a private pilot to receive pro rata reimbursement from his passengers for fuel, oil, airport expenditures, or rental fees, so long as the pilot and his passengers share a bona fide common purpose for conducting the flight. Flytenow facilitates common purpose because pilots, rather than enthusiasts, unilaterally dictate the destination (and purpose) of an adventure, and enthusiasts express shared interest in the specific date, points of operation, and adventure." The FAA responded to Flytenow's request through a Letter of Interpretation. In essence the letter indicated expense sharing is compensation, a commercial activity. Hence, Flytenow activities were in violation of FAA regulations. Because Flytenow did not hold an FAA commercial carrier certificate, its pilots were not license commercial or ATP pilots instead the pilots were licensed private pilots. The letter was similar to the Interpretation Letter that was sent to AirPooler that provided the same type of service. The FAA ordered the company to stop operations. Flytenow, Inc. filed a lawsuit and asked the court to set aside the FAA’s interpretation as arbitrary and capricious and inconsistent with statutory and constitutional law. However, after hearing the case from both sides, DC's Court of Appeals "conclude that the FAA’s Interpretation is consistent with the relevant statutory and regulatory provisions and does not violate Flytenow’s constitutional rights, we deny Flytenow’s petition for review". "The institute is exploring options including requesting a rehearing and petitioning the Supreme Court to hear the case. Flytenow has argued that it has First Amendment rights to post ride-sharing online. "Flytenow pilots are engaged in truthful communications about lawful activity, and, as the U.S. Supreme Court has said time and again, this is protected speech”.